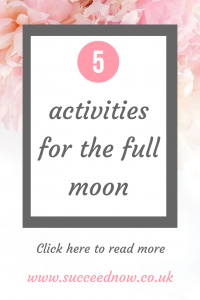 After hearing about how powerful the full moon is and how it is a good time to let go and release the negative and set intentions for the future I decided to start a full moon ritual. I am still learning about this and making the most of the energy from the moon so my ritual is a work in progress. 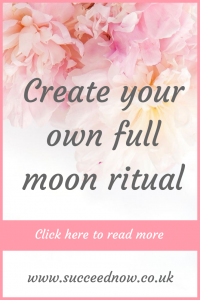 Full moon rituals can be done on your own or in groups. If you have a group of spiritual friends it may be nice to get together and share the experience and energy with other people. Make sure it is a group of friends that you trust and have good energy that you want to be around. There are so many types of meditation out there. If you are new to meditation I recommend starting with a guided meditation (try the Insight Timer App for free guided meditations). There are specific mediations for full moons that you can try. If you have a card deck this is a good time to pull a card for some guidance. Especially if you like to use this when setting your intentions. There are many different ways to pull cards and many different decks. I like to shuffle them until one jumps out the pack or stands out. That’s the card I choose. I sometimes pull more than one. 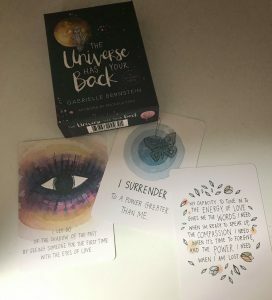 Click here to buy The Universe Has Your Back by Gabby Bernstein card deck. I like to spend extra time journaling during the evening of a full moon. This helps me to get out what I am thinking so I know what I want to release from my life. It also helps me see what I want to focus on and set intentions for. I allow myself to write whatever comes to mind without judgement. I still use my usual journaling technique of positive journaling by either writing evidence against my negative thoughts or writing a lesson learned from the experience. 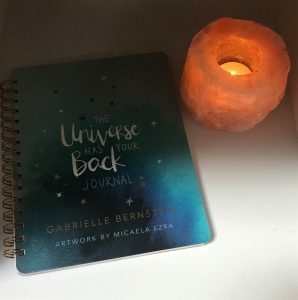 Click here to buy the Universe Has Your Back Journal. I then write down what I will be releasing and letting go of. This time it was “worrying about things that I can’t control” I write this on a piece of paper that I then rip up. It is popular to burn this piece of paper if that is something that you want to do and it is safe to do so. Now it’s time to set intentions for what you want to achieve. Reflect on what you feel is right for you. Listen to your intuition and follow any guidance that you receive. The last thing I do is put my crystals out in the light of the moon to fully charge them. I like to put my new intentions with them until the moonlight. 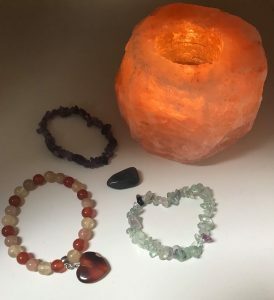 For example in this full moon I set a health intention which I then put with my Amazonite and Moonstone, Clear Quartz and Smoky Quartz bracelets. I out my business intention with my Citrine and Flourite bracelets of manifesting, abundance and success. Have you ever done a full moon ritual? Head over to the Facebook group and let me know your thoughts and plans for future full moons.